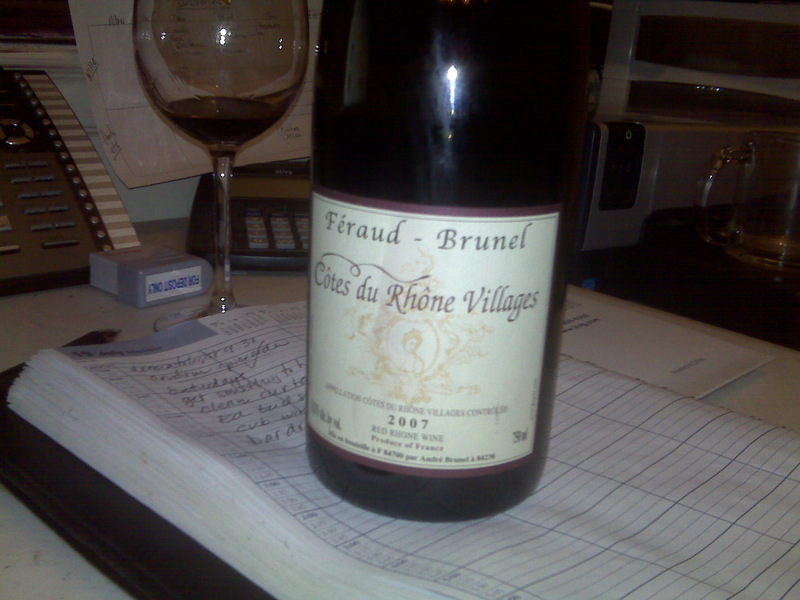 Feraud-Brunel Cotes du Rhone Villages, 2007 | the wine snob. I LOVE Cotes du Rhone! LOVELOVELOVE. Most especially when they come in at a whopping $18 a bottle!! 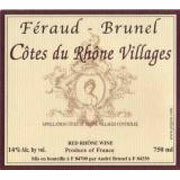 And are rated 91 points like this one from Feraud-Brunel! And it’s a 2007, which all the wine nerds out there know was a great year in the Rhone, and as such, it can be pricey to acquire a higher-end Chateauneuf du Pape and the like. Not as pricey as these 2009 Bordeaux futures are looking (scroll through this for an example, but get ready to have a tear in your eye)… aaaand that’s enough wine-nerding for today. Moving on to wine we can actually afford in this lifetime- this Feraud-Brunel Villages is a truly exceptional wine. Robert Parker gave it 90 points, and Wine Spectator gave it 91. It has the wild, exotic characteristic that French Rhone wines can so often have (it is a blend of 70% Grenache, and 30% Syrah). Brambly, with an up-front taste of raspberries and blackberries, hints of vanilla, cloves and figs, a pleasant amount of wood (that’s what she said- boo-ya!- that was for you, Florence Wine Guy), dark chocolate, graphite and licorice. Absolutely awesome. I could probably do without the black-eyed peas that these are sitting in, but thanks for the picture anyway, Epicurious! I like black-eyed peas, but if a bean isn’t the toughest thing to pair with wine, I don’t know what is. Maybe Indian food? But the sausage sure looks delicious, doesn’t it?! 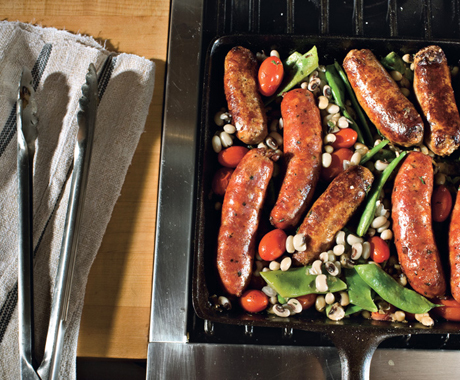 Lamb sausage would be exceptionally good, given the classic pairing of Syrah and Lamb. This wine has such a nice spicy, smokiness to it, it would really be perfect with anything off the grill in the Summer- or if you can wait that long- something slow-roasted or braised with wine and herbs in the Winter. And then- WHOA! he takes his shirt off for an unexpected fight scene in Sherlock Holmes and catches you totally off guard! Much to your surprise, he reveals himself as a total badass while still being smart and polished! How in the WORLD did he do that?! I can’t even get into any Iron Man comparisons… we’d be here all day and Ricky would begin to question whether I did any work today whatsoever. So just buy the wine, show your love for RDJR, for the love of God. Happy drinking! ← Whites You Need for the 4th! 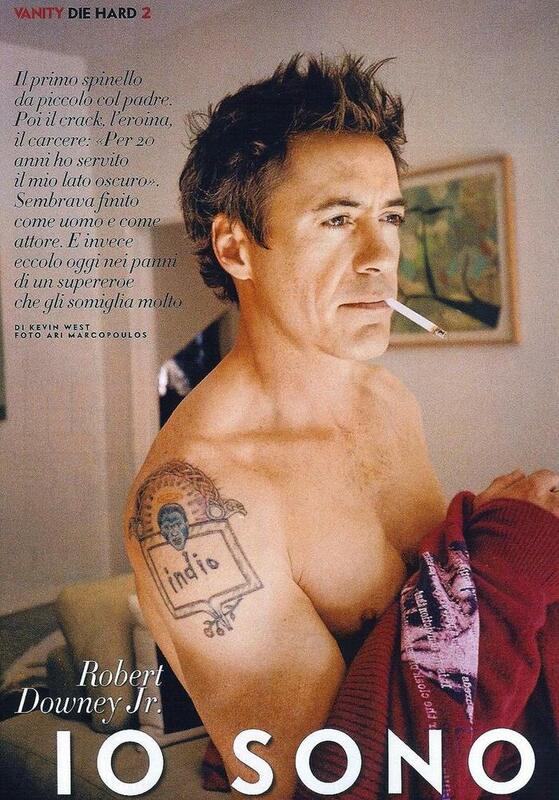 And I must say that, like a nice wine, Robert Downey Jr. has aged very, very well. YES! Lane you are the best! Is this why you keep looking for naked pictures of me? If I say yes will you give them to me?